Samsung is moving to a fuller screen. Facebook is moving deeper into a user’s identity. And Apple is moving clear off the screen! This proves that when it seems there’s nowhere else to go, you can always find some empty space somewhere. The stylus you are currently using is no longer good enough. It can only be used on touch-sensitive screens. But sometimes, those screens aren’t big enough for what you want to draw. And sometimes, they aren’t available at all. That’s about to change. A new patent was just published by Apple in January of 2018 for a stylus that will make use of a sensor in the tip to track the movement of the device and transmit the stylus’ locations wirelessly to your computer or tablet. This technology will be especially helpful with the creation of 3-D drawings enabling the artist to create in 3-D, and have the work transcribed to a two-dimensional screen. The new stylus will be related to the Pencil, which can only be used with the iPad Pro. Despite the excitement around this patent, there’s no indication of a potential release date. Despite common sense (and definition), income will not be a qualifying factor. The use of this new demographic is to the benefit of those advertising through the social media giant so that corporations, charities, and the like will have this added piece of the puzzle to add to their target audience classification. The race continues between companies such as Apple and Samsung for the best display. Samsung took the lead in 2017 with improved displays on the Galaxy S8 and the Note 8. Their next move was to expand the screen space on their devices with a patent application for a full-screen device, with no bezel at all. Fingerprint sensors will be implanted underneath the glass cover so that they can still be used on the front of the device. Experts believe that this new technology will be incorporated into either the Note 9 or the Galaxy 10. But of course, not all news is good news recently for Samsung. Their latest woe involves being named in a patent infringement case. A complaint was issued early in February by NuCurrent—a Chicago-based wireless power solutions provider—against Samsung. NuCurrent claims Samsung is using their wireless charging technology in their Galaxy S7 and Galaxy S8 phones. NuCurrent did present the technology to Samsung, along with a confidentiality agreement. Samsung first became aligned with NuCurrent as their focus became more identified in the field of wireless charging, after the release of their Galaxy S4, which came with a wireless charging kit. Once Samsung come across Nucurrent and expressed the possibility of working together, NuCurrent developed non-disclosure and confidentiality agreements and began working on special power coils for Samsung. NuCurrent then alleges that the samples they provided were taken and used by Samsung and sold in millions of devices with no acknowledgement at all back to NuCurrent. Because of the young company’s estimation of a growing self-worth, they are claiming the infringement by Samsung can cause them irreparable damage in their field. Were any of these stories a surprise to you, or did you see it coming? 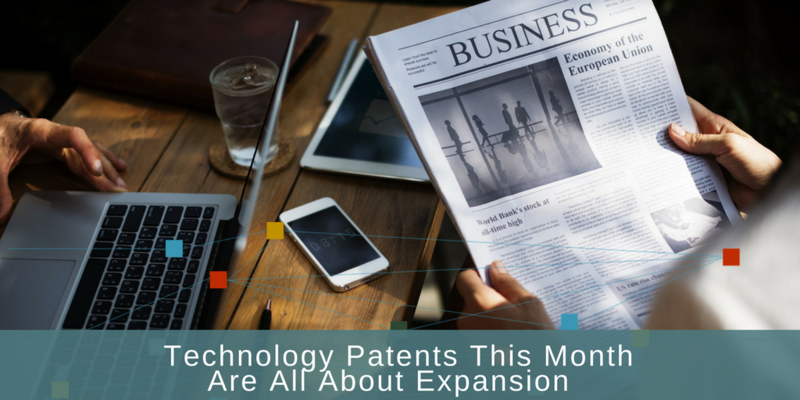 To stay on top of what’s happening in the patent world—and stay ahead of your competitors—keep watching the patent news and see how we can help you.